Inspired by the latest Borgias series,and the Warlord Games Pike and Shotte rules,its time for me to start a new wargames period. 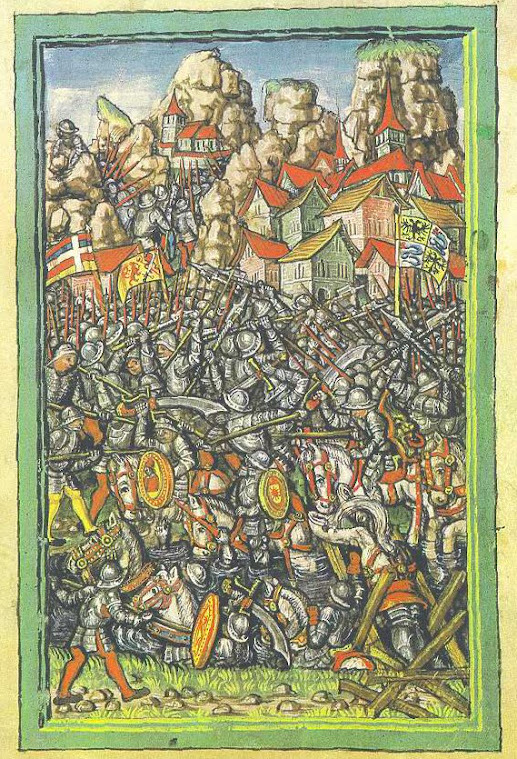 The army of Cesare Borgia and hopefully some opponents. All in glorious 28mm. Aut Cesar, Aut Nihil, Wargaming the Borgias. A little off subject but because the crews and guns fit perfectly for the renaissance period I thought I should show followers the final paint job on my tabletop purchase from early January. I just finished basing and tufting the Boronzio gun batteries I bought from Ardhammer.While painting them I realised there were only four crews for the five guns, but I cant complain. The five gun battery would be too over the top to use, so I will sell four of the units and keep one gun and limber.Hopefully I will get my money back. Just when one thinks they have pulled clear, they drag you back in. An image of the new Steel Fist landsknects which will be released soon. 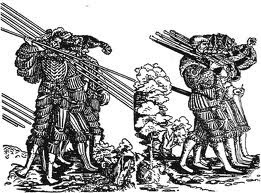 There are crossbowmen and arquebusiers in the pipeline. So it looks like I will be collecting a new pike block of these colourful chaps, and why not.Beautiful and no doubt a tad expensive. After I had posted the images of my Steel Fist gendarmes I got thinking about the actual number of gendarmes I actually possess and as a result I decided to put on a gendarme grand review. Normally I wouldn't do this for several reasons. I dont want people to think I'm showing off by being able to field so many 28mm cavalry and more importantly when I put them on the table it makes me realise I really have overdone the gendarme thing. 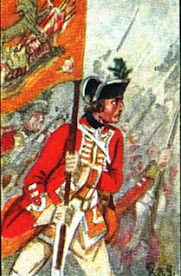 The French who were famous for their gendarmes only fielded a couple of thousand or so and the Spanish considerably less. Perhaps my mate John is right I do have more than existed. Anyway these are what I have at the current time. I have figures from various manufacturers and I thought it might be of some use to some prospective renaissance wargamer to see comparisons of each make. These chaps are from Eureka Miniatures of Australia. Beautiful but expensive sculpts. Each figure has separate plumes and weapons. When I was gainfully employed I commissioned Dave Jarvis, painter extraordinaire to paint them up.I use them as Cesare Borgia's bodyguard, hence the specific banners. Below are three different manufacturers. The first are Hinchliffe gendarmes with Perry plastic heads. Next are some classic Vulcan Miniatures. These came is separate pieces of head, four pieces of bard, horses head, and lance. To younger wargamers they may look a little strange, but I have always loved them. The company was only around for about three years in the early 1980's. The final figures are Eureka Miniatures. They are compatable with Perry, but clearly look small next to my Vulcan figures. Another Vulcan gendarme. Now how good is the bard given it is early 40 years old. Yipes. More classic gendarmes. This time from the old Connoisseur range sculpted by the late great Peter Gilder. [see my other blog] They are still available from Bicorne miniatures. Brilliant. These chaps are from Old Glory. John painted them up for me. To be honest they look better when painted and are good value for money. Perry plastics compared to Old Glory. They look okay together. The classic Foundry Gendarmes sculpted by the Perry's in the 1990's. Next to them are some newer Perry miniatures from their plastic range. Steel fist next to Foundry Miniatures. Pretty and compatible. All standards are from Pete Smith of Pete's Flags fame. Top quality flags. Here we have Hinchliffe gendarmes with Perry plastic heads and Pro Gloria metal horses. I managed to buy a few horses from the company before they were bought out by Warlord Miniatures. The horses were for their plastic gendarme range which is yet to be released. They are very nice sculpts although I understand the actual plastic horses will be slightly bigger. I never use these chaps. I managed to buy them from Tony Runkee who painted them for the Peter Gilder collection. Classic figures and the pride of my collection. 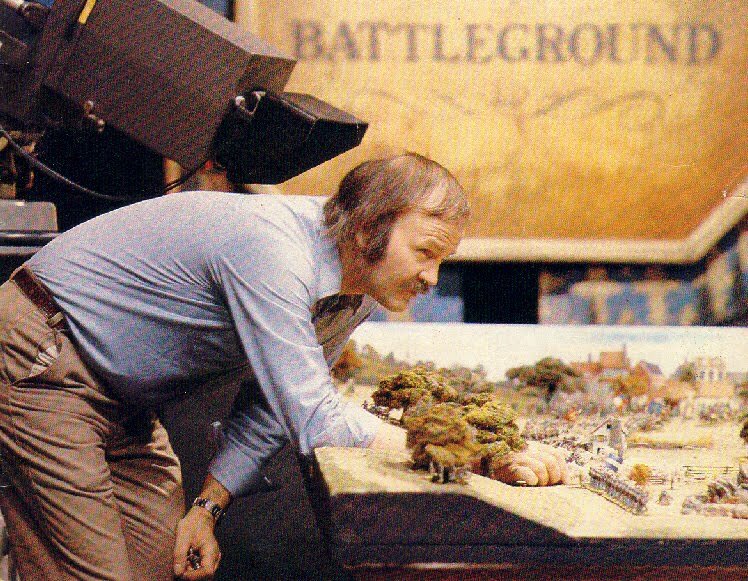 Peter Gilder was a master of using bits of other figures. 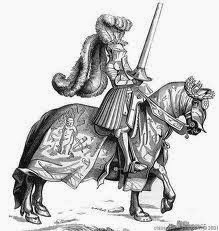 This one uses a Vulcan gendarme head and bard, on a Connoisseur horse. Casting Room gendarmes next to classic Foundry gendarmes. Casting Room split from Foundry and are bigger and exaggerated but to be honest I like them a lot. They are easy to paint. After I had put all my gendarmes back in their boxes. I realised that I had 'forgotten' my Spanish Gendarmes.These are mainly Perry figures to show that they are lighter armed than their enemies, the French. I purchased a group of the new Steel Fist Gendarmes last year and have finally got around to painting them up. I dont need anymore really as John helpfully pointed out. He reckoned I had more gendarmes than actually existed. I think he was exaggerating although I must admit I have always been fascinated by them and have a lot. These are probably the most expensive ones I have ever bought, well apart from a small group I obtained that had belonged to the late gret Peter Gilder. To be honest putting them together was not a pleasurable experience as they have separate heads, plumes, and lance with hand connected.I also drill them onto their mounts so they are effectively held together with super glue and piano wire. Saying that, the actual models are first rate with well sculpted plumes, helmets and bards. The company sells bard transfers which I will buy, just in case I want to increase the unit to the customary twelve figures.No matter how steady ones hand is I think the transfers look well worth their money. How lucky are wargamers? Pete of Pete's Flags has recently created another set of wonderful flags for the Italian Wars and I used them. They are of Pete's very high standard again. For the armour I used the Dark Star range of metallic paints. These aren't cheap but are top quality with great coverage.The range includes a renaissance gilding colour and an old gold which after a wash with my trusty Games Workshop Devlan Mud give a lovely effect.So there you have it, another unit of French Gendarmes to bulldozer their way through the Spanish and dastardly Swiss. Honour Guard of Cesare Borgia. 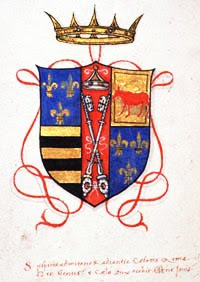 The Army of Cesare Borgia. 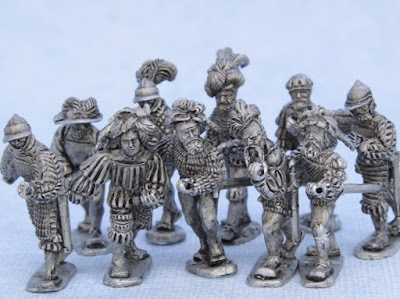 In the late 1980's I foolishly sold my renaissance wargames armies, all in beautiful 28mm.One of those armies was my version of the army of Cesare Borgia. Anyway, over 30 years later I have decided to return to the period I love, in the scale I started out in. 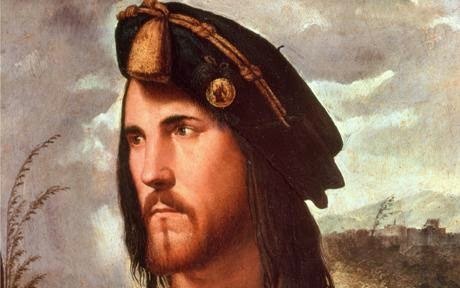 This blog is about the return, and anything renaissance war related. A Good day for Renaissance Warfare. 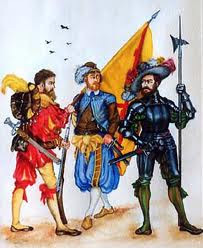 Italian Sword and Buckler men. The Borgia Armies First Outing. Organisation, Troop types in the Black Bande. 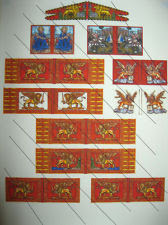 The Best Renaissance Flags for all discerning wargamers. 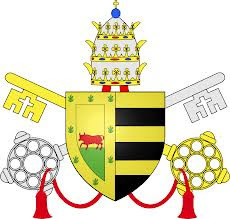 Papal Coat of Arms for Alexander IV.